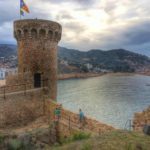 After all the good food (and hearty portions) we had on our American road trip, we thought we should do something that involves physical exertion. 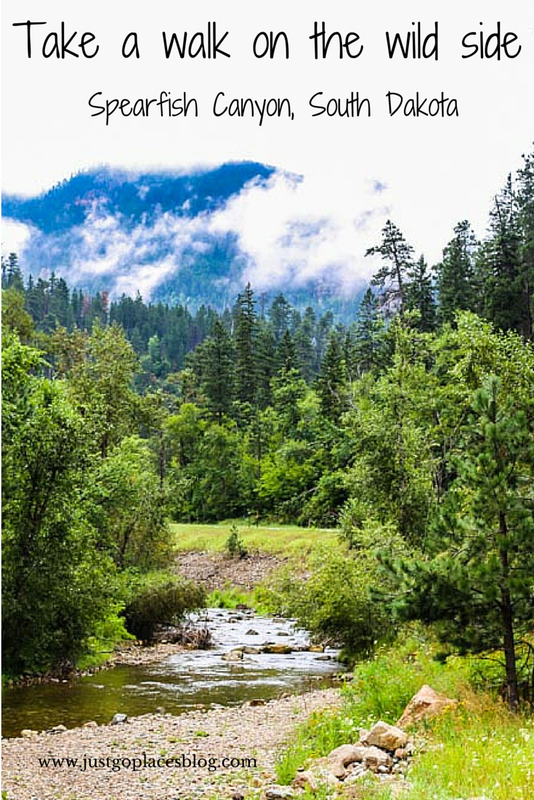 Luckily Spearfish Canyon in South Dakota is the perfect place to go hiking because it has access to thousands of acres of public lands in the Black Hills National Forest. The Black Hills of South Dakota were formed about 62 million years ago probably when the Pacific Ocean floor had a run in with the North American continent. The resulting landscape gave birth to lots of geological variety such as the alien-looking Badlands, the even stranger geological formation called the Devils Tower and even the gold deposits that were the subject of the Gold Rush. The Black Hills got their name because from a distance the pine trees were so thick, the hills looked black. Spearfish Canyon is part of the geological variety of the Black Hills National Park that started 62 million years ago. The Canyon, which was formed about five million years ago, is about 20 miles long. The shape of the canyon is still evolving because of its soft limestone makeup. Although you can’t get to the canyon rim by car, you can hike up there (see the ’76 trail hike discussed below). 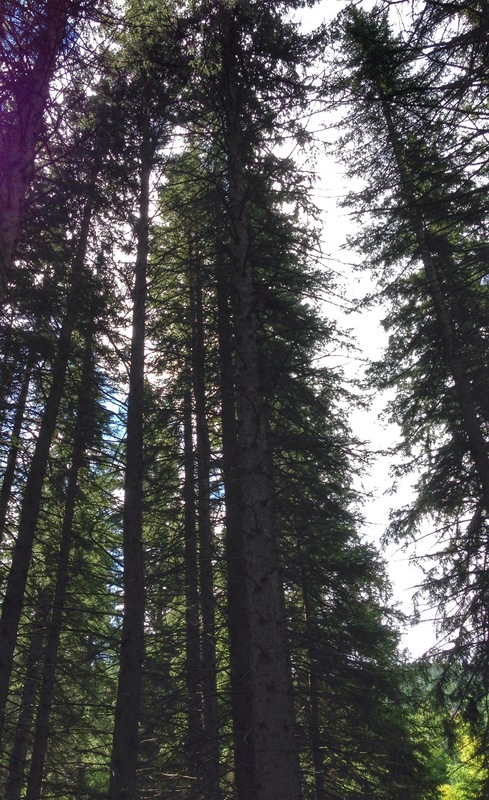 These spruce trees in Spearfish Canyon are over 200 years old. 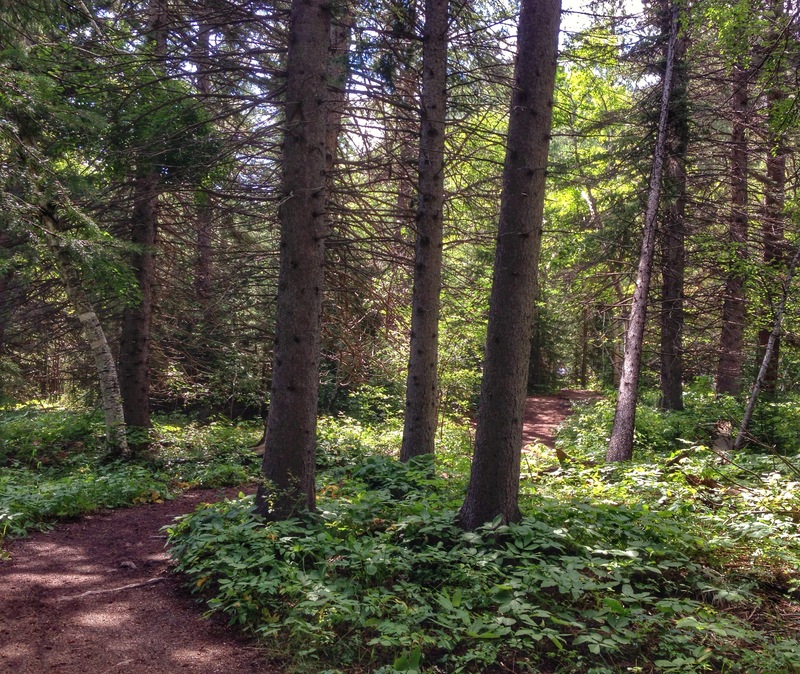 The undergrowth in Spearfish Canyon is densely covered with shade-loving plants as well as these spruce trees. There’s lots of shade from the harsh South Dakota sun for little animals and birds. You can hear the birds chirping away as you hike. There are lots of trails for which you can get information from the Forest Service. They range from easy to difficult. We did two hikes which were both marked easy and were indeed embarrassingly simple. 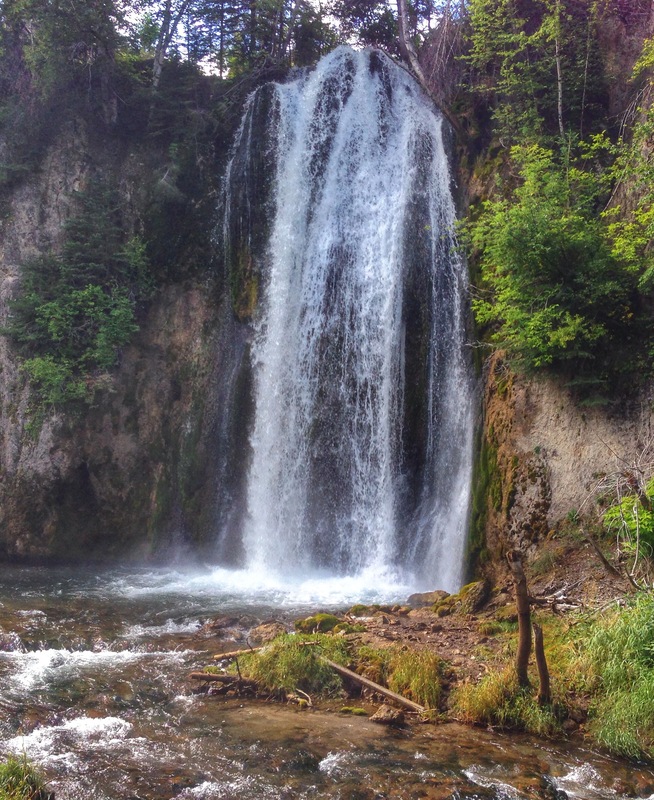 The Spearfish Falls trail is a 1.5 mile roundtrip which is a path going around the tree canopy of Spearfish Canyon. The other trail was the Roughlock Falls Trail which is only a mile (and handicap accessible) but takes you to a very pretty waterfall. 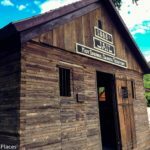 ’76 Trail – Although only 1.6 miles roundtrip, this trail is marked difficult because you climb pretty much straight up to the top of Spearfish Canyon. Iron Creek – This trail is about 4 miles but is considered easy because it follows along an old roadbed along the creek. Lookout Mountain – The closest trail to Spearfish itself is considerate a moderate loop trail 4 miles in length that follows an old road. The road is still kept in good shape. You need to be careful though because there are rattlesnakes on Lookout Mountain. I’m going to rely on photos because it’s hard to express in words how beautiful this area is. 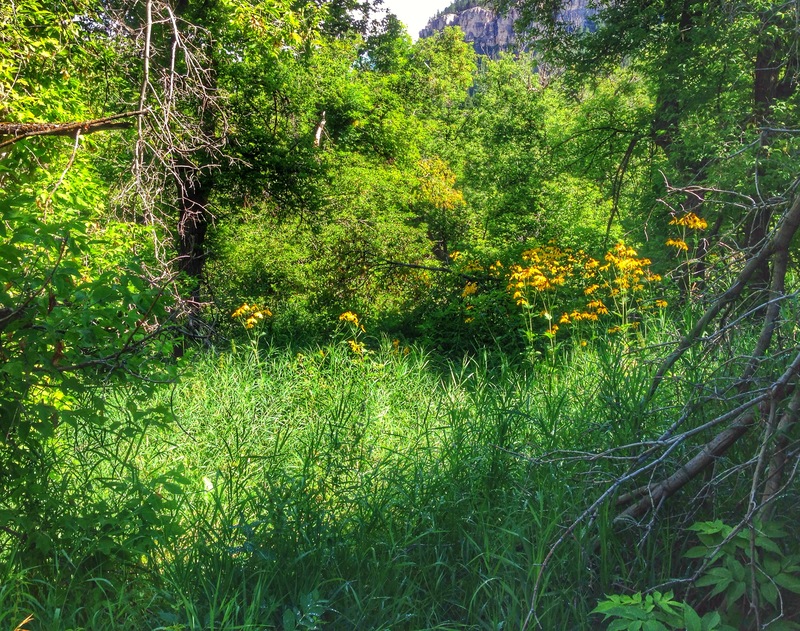 Even for city slickers like us, hiking in Spearfish Canyon was an easy way to get out into nature and enjoy fresh air and centuries old forests. 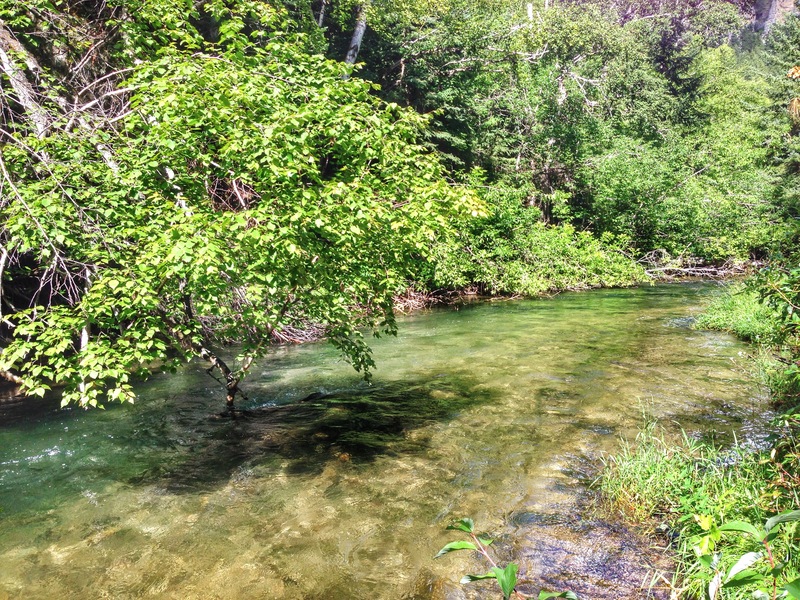 In addition to hiking, you can go fly-fishing and cycling in Spearfish Canyon. In fact, fly-fishing is even more popular than hiking in Spearfish Canyon. The town of Spearfish itself has been called unlike the rest of South Dakota, with its craft beer and hipster scene.